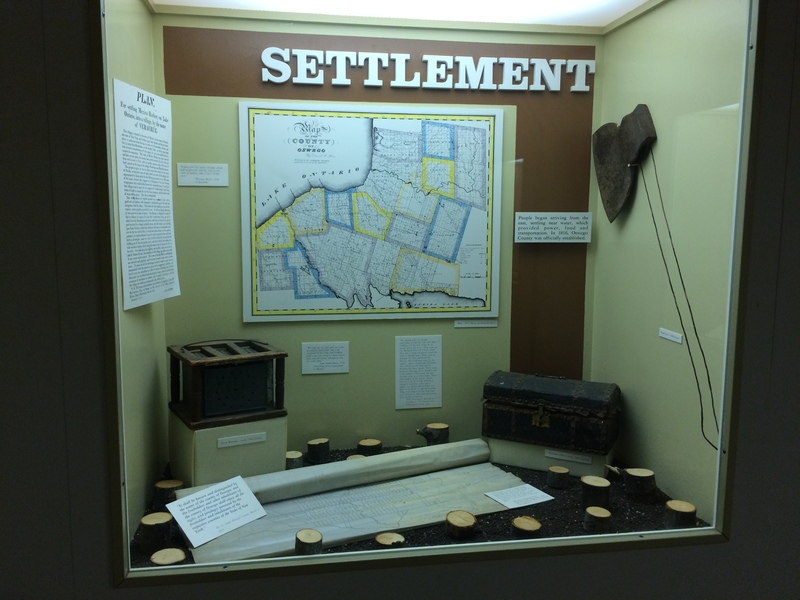 Founded in 1896, the Oswego County Historical Society has preserved and promoted the history of the greater Oswego area for more than 100 years. In 1946, the historical society received a generous gift of a historic 19th century Italian Villa to serve as the permanent head quarters for a public museum. Listed on the National Register of Historical Places, the Richardson-Bates House offers a unique glimpse of the lifestyle of a wealthy and prominent Oswego family, as well as a museum dedicated to interpreting the history of the people and places in Oswego County through exhibits and educational programs. Please visit to learn more! The Richardson-Bates House was built in two stages as a private residence for Maxwell Richardson, a local attorney, real estate broker and two-term mayor of Oswego. In 1867, Max commissioned Rochester architect Andrew Jackson Warner to design the Tuscan Villa style residence for him and his family. The opulent interior decor reflects the 19th century Victorian fascination with art, culture, education and history. The Richardson Bates House is one of the most intact house museums in New York State with opulent furnishings, artwork and architectural details from the Victorian era. 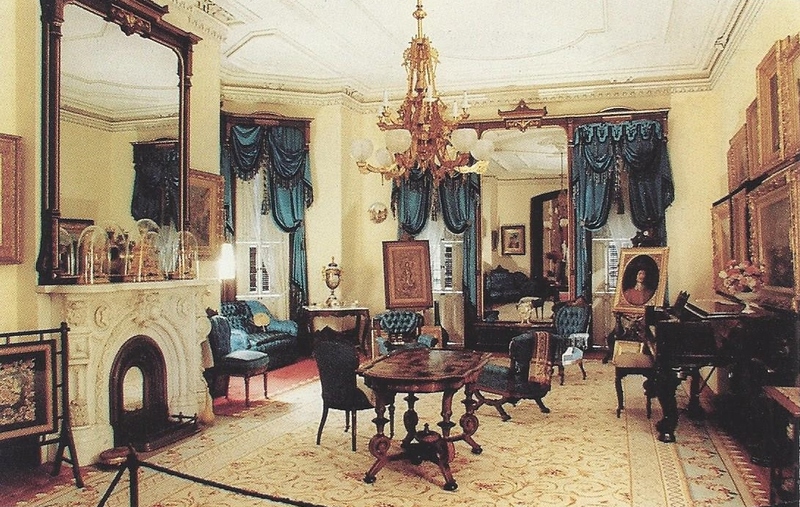 Shown is the drawing room designed by the Pottier and Stymus Company of New York City in the late 1860's. 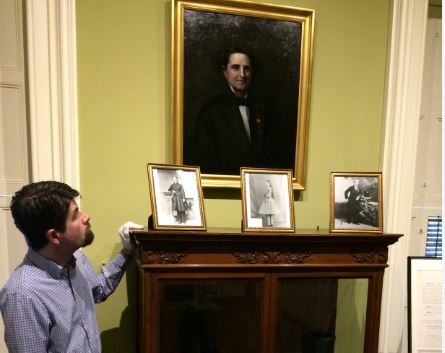 Justin White has created a new exhibit on Dr Mary Walker, Civil War Surgeon, who is the only woman to ever have been awarded the Congressional Medal of Honor. The Oswego County Annual Membership Meeting will be held on Sunday May 20, 1:30 PM at the Oswego Public Library Community Room. All OCHS members and the general public are invited. Following the annual meeting, Robert Perkins, EdD, will give a presentation on the historic research that he did for his latest book: ``Oswego's Legacy: Lost to the Ages.````Oswego Legacy`` features a literal and visual look back at some of Oswego's major industries from 1870 – 1920. Perkins presents a survey of fifty factories: the Kingsford Starch Factory, Diamond Toy Factory, Oswego Candy Works, Conde Knitting Mills, to name a few. Boiler makers, iron works, foundries, and lumber yards, the production of soy products, paper, and window shade cloth - readers get a glimpse of the city’s vast industrial complex as well as the many talented personalities who influenced Oswego’s legacy.Bob Perkins, educator, administrator and author was born in Oswego and spent nearly his entire professional career in Oswego.The book is available at the river's end bookstore on W. Bridge and 1st St., and will also be available for sale and signing at the annual meeting.